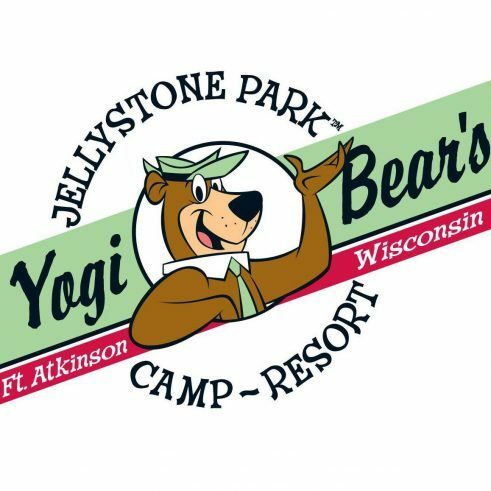 September weekends at Jellystone Park of Fort Atkinson are made for fun! August 31 to September 3 – Labor Day/Space Exploration Weekend – Bring the whole family for this special, extra-long Labor Day Weekend. We have three full days of fun planned for everyone – including bags and horseshoe tournaments, the annual Labor Day parade, Hey Hey Rides with the Bears, and more! Plus, you might want to bring an extra change of clothes this weekend as the Rec Rangers have some special messy games ready for you. There will be shaving cream contests and lots of water balloon fun. This year, we are adding some space exploration to the weekend as well. We will do a tour of what space exploration has brought to us. Maybe we can try our hands at making flying cars! September 7-9 – Rock-N-Roll Weekend – Rock & Roll is here to stay! Join us this weekend for some Rock & Roll themed fun! Meet with the Rec Rangers to make your own instruments, then use your creation to enter our new Air Band Contest! We will be “shaking it up” and “twisting” the whole weekend. Come and enjoy some great tunes this weekend, and don’t forget to bring your dancing shoes! September 14-16 – Customer Appreciation Weekend – Everyone at Jellystone Park would like to thank you for visiting us this season, and we are going to show it this weekend! Look for good deals in the lodge, the Pic-a-Nic Basket, and in activities. Discounted prices and many other specials will be offered! To go along with all of the discounts, there will be a movie marathon for all of you movie fanatics, as well as snacks such as popcorn, nachos and candy! September 21-23 – Halloween Weekend – Boo! Calling all Halloween lovers! Jellystone Park will have all of your fall and Halloween favorites this season. We will have special fall designs in ceramics, sun-catchers, t-shirts, and crafts! There will be trick-or-treating in the campground, as well as costume contests. Site decorating is always fun, and we will have prizes for all of the winners. The Rec Rangers will have coloring contests, a candy corn guessing context, pumpkin decorating and more fun fall activities planned. The weather may be cooling off, but the fun at Jellystone Park isn’t! These weekends are some that you do not want to miss! September 28-30 – Halloween Weekend – Boo! Calling all Halloween lovers! Jellystone Park will have all of your fall and Halloween favorites this season. We will have special fall designs in ceramics, sun-catchers, t-shirts, and crafts! There will be trick-or-treating in the campground, as well as costume contests. Site decorating is always fun, and we will have prizes for all of the winners. The Rec Rangers will have coloring contests, a candy corn guessing context, pumpkin decorating and more fun fall activities planned. The weather may be cooling off, but the fun at Jellystone Park isn’t! These weekends are some that you do not want to miss!